Whenever I stand in front of an Amphora (clay pot), I am literally spellbound, and I cannot help staring at it in rapt silence: I genuinely think that it is the most beautiful container ever to be created. The origins of the clay pots date back more than 3000 years in Georgia (there called Qvevri), where the first vines were cultivated. Then, they became popular throughout the world with the Greeks and Romans using them as containers for olive oil, water and wine. Indeed, the Romans introduced the Vitis Vinifera and other winemaking practices in their colonies in the whole Europe and the nectar obtained would be taken to Rome in these big clay containers. Around 300 b.C., when the Celts brought along the wooden containers, the amphoras went out of use, surviving only in some areas of Spain and in the south of Italy. In 2013, the ageing in these egg-shaped earthenware vessels was inscribed on the Representative List of the Intangible Cultural Heritage of Humanity. Amphoras are alive, they represent the Nature itself, being made from earth and water. Amphoras are pure, but they need handling and using carefully. I have immediately fallen in love with these containers and after spending some years studying their features, I eventually decided to buy some of them. Right from the outset, I realised that the clay pots could be promising, and amazing results could be achieved: indeed, the wines ageing in there, developed new aromas and new flavours, although their use turned out to be much more complicated than expected. After the ageing of some dry wines, I decided to have the Recioto, the great dessert wine of Valpolicella, undergo the same treatment. The first months of ageing went through ebbs and flows but then, I understood that these earthy flavours were exactly what I was after: a natural enhancement of the primary aromas of our autochthonous grapes while preserving their finesse. 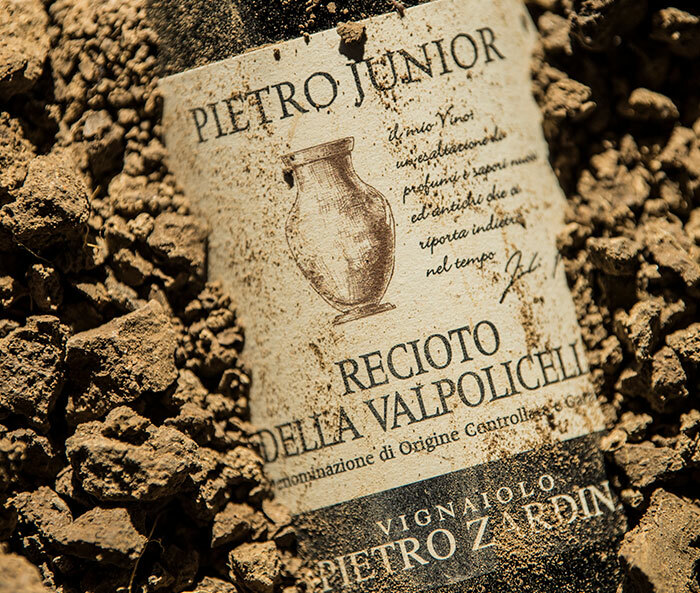 The first vintage ever to be bottled was 2016: 1000 litres of Recioto della Valpolicella DOCG made in a traditional way, with spontaneous fermentation without any strain of yeasts being added to and entirely aged in clay pots for 18 months.